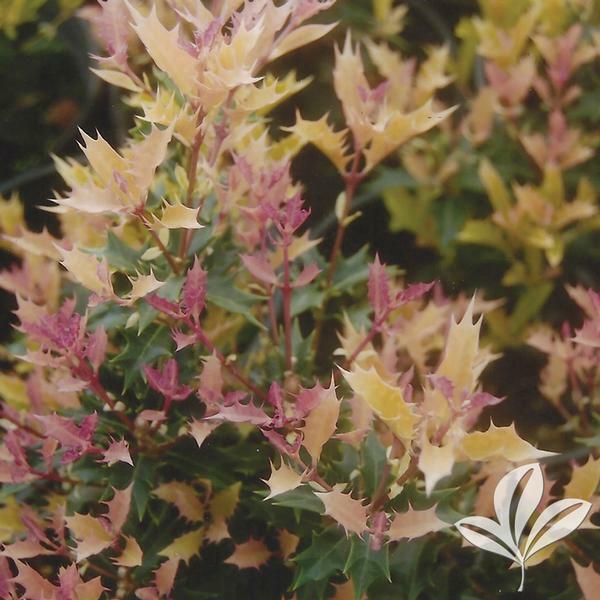 Evergreen shrub with extraordinary cream, pink, yellow, and white leaves in the spring. A compact variety that is great as a low hedge or mid-height accent plant. Matures at 4 to 5 feet tall and 3 feet wide.